Biodegradable Bio Liquid Laundry is natural, handmade and bio-degradable. It makes No foam. 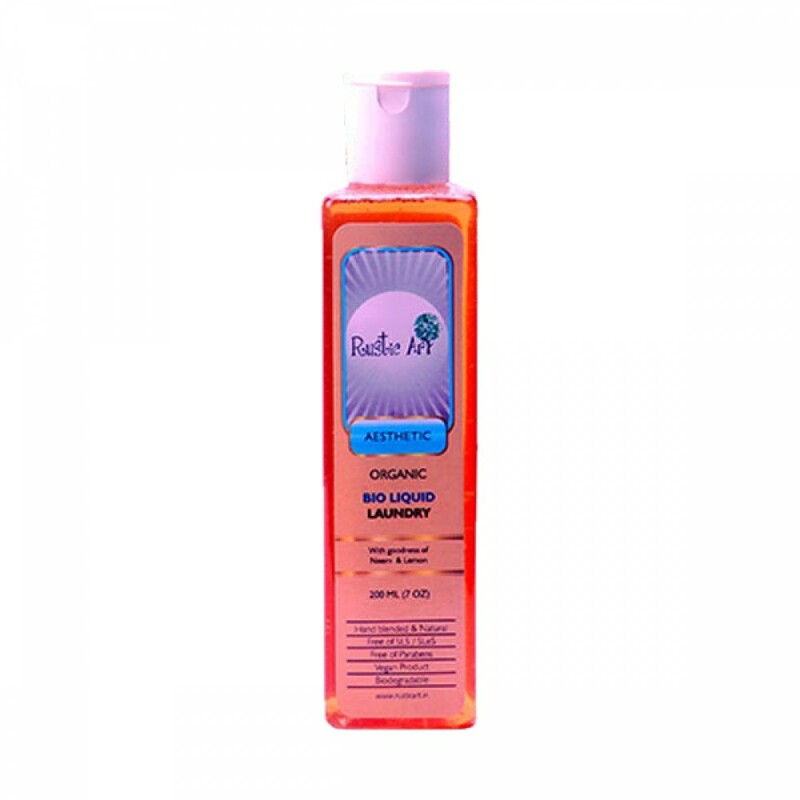 Contains natural Glycerine only that acts as a conditioner for clothes. Soft on skin, fabric and environment. Can be used in washing machines. Benefits: Only natural & eco-friendly materials have been used to make this soap. This product doesn’t contain chlorine, phosphates, artificial additives, synthetic dyes etc causing allergic reactions on human skin. It is biodegradable, so it gets decomposed in nature after some time. So it is safe & healthy for nature too. Environmental: Organic Personal Care only uses 100% Natural & Herbal products as ingredients; so there are less chances of environmental degradation. Those ingredients are obtained from Sustainable Farming – safe for soil & groundwater too. Human Resource: Employment of children is strictly prohibited. It is ensured that at no phase of production procedure child labor is used. This Natural Laundry Powder is single processed, suitable for regular use. ..